Whether it's a smartphone or computer for internet surfing, all of them use any other browser. Most users prefer the Google Chrome browser only. 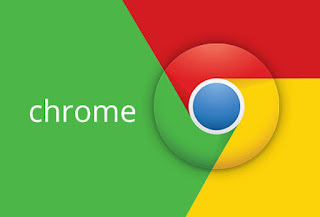 If you also use Google Chrome, do you know about its 3 special features? Using these features, it can be used more efficiently. Sometimes we use someone else's computer or laptop or do some of our work by visiting someone's phone or internet cafe. We also know that whatever we have searched or done, it is saved in the history of that computer, phonon or laptop. None of us would like to see anybody else's search or work that we have done. Incognito mode can be used in such a situation. This feature will be found in the Browser's menu. About Incognito mode, however many users will know, but do you know that while surfing the page on Chrome, Google can be searched. That is, you do not have to open a separate tab for this. Its trick is to hold on for any time that you are on the page and the word you want to search for. That word will come with Google's logo. When you touch the Google logo you will be able to search even when you are on the same page. This feature is particularly beneficial for mobile users. With this, you can save your mobile data. By going to the setting of Google Chrome browser, you will see the option of Data Saver at the bottom. Turn it on This will also make your browsing a little faster. I hope this article is helpful for you. stay connected with Indiatecinfo.com to know about science.